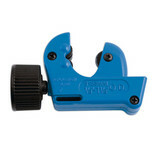 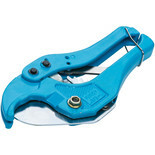 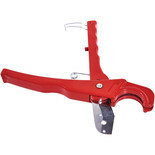 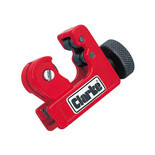 This ratchet action pipe cutter makes easy work of cutting most types of plastic up-to 42mm in diameter. 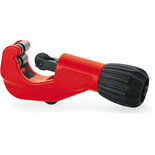 A heavy duty die-cast tube cutter suitable for brass, aluminium. 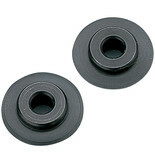 copper and thin wall conduit. 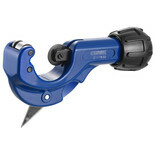 The hardened steel cutting wheel and ground rollers ensure accurate, clean cuts everytime. 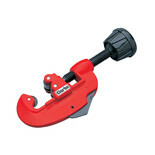 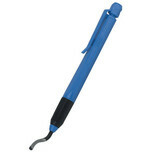 A compact die-cast cutter for metal tubing, especially useful in confined spaces. 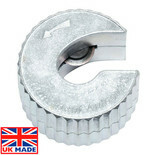 Quickly produces a clean, burr free cut in aluminium, brass and copper tubing. 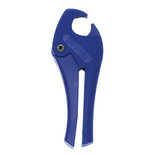 Tube cutter not working well ? 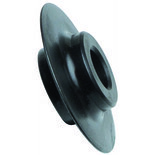 It makes sense to replace the hardened HSS cutting wheel as soon as the going gets tough! 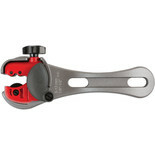 The Rothenberger 70027 is a copper tube cutter that has a built in fold-out reamer and heavy duty telescopic action precision tube cutting. 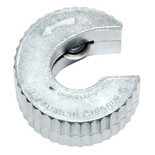 Replacement cutter wheel for all sizes of Rothenberger pipeslice tube cutters.